In early January I traveled to Morocco. I met Bill in Tagazhout, where he had been painting and surfing and eating baguettes and jam for many weeks. He had planned a road trip for us through the Atlas Mountains, starting in Paradise Valley. But he hadn’t looked at a road map. You might imagine our surprise when we saw a sign declaring our road La Route Miel. THE HONEY ROAD! From Agadir west to Imouzzer we drove through limestone hills, palm groves, and orchards of argan, almond, and olive trees. Wild lavender bloomed — and buzzed with honeybees. In addition to Langstroth hives I saw traditional indigenous hives, reed mats rolled into hollow cylinders. They appeared to be plugged at both ends with wood that was notched with a doorway for the bees. The comb comes out in perfect dessert-plate-sized circles. Local beekeepers harvest honey throughout the year to capture the distinct tastes of the many different blooms. We taste-tested miel de thym, miel d’arganier, miel d’oranger, miel de caliptus, but were not given any samples of les plus chères, miel de agave. 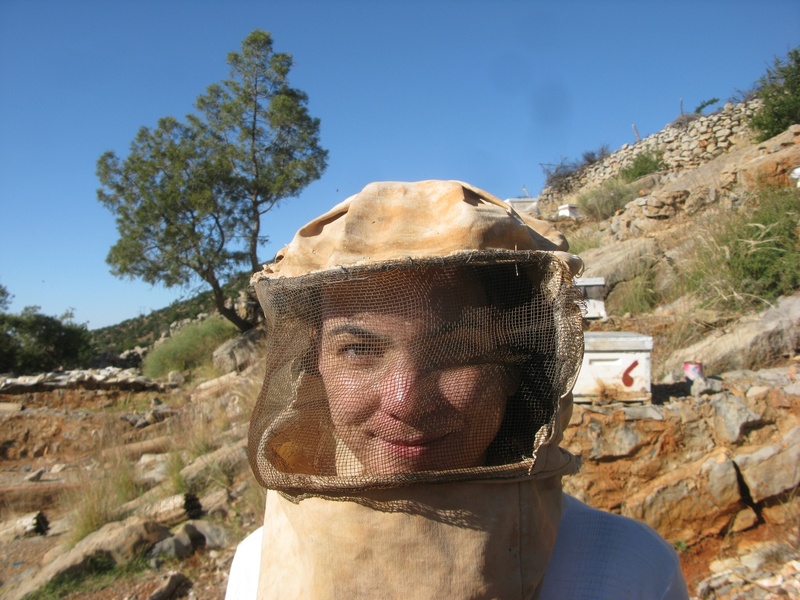 How do you manage to still look pretty in the beekeeper’s hat / veil? Nicely done. This is really good! Like the beesuit! 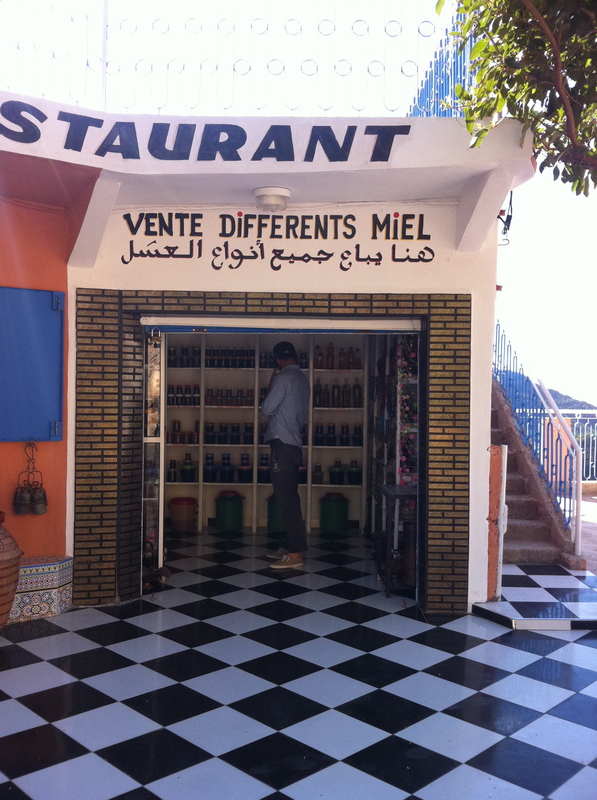 traveling to morocco 17/1/13 to 4/2/13 would like to meet local beekeepers can you help? It should be easy to find beekeepers once you are there.